Hollywood actor George Clooney contracted malaria during a trip to Sudan earlier this month, but is now fully cured, a spokesman has revealed. The 49-year-old is a frequent visitor to the African country to help raise awareness about the Darfur conflict. He said his own experience shows how the right medication can turn "the most lethal condition" into "a bad 10 days instead of a death sentence". 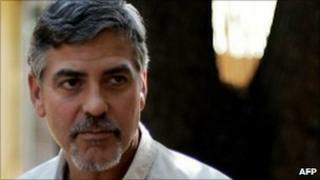 Publicist Stan Rosenfield said it was Clooney's second bout with the disease. The actor is expected to discuss the condition and his work in Africa on Piers Morgan's CNN show on Friday.